Play Lathe Safety Simulator VR and learn about the operation of an industrial lathe by following the tutorials to identify all the major lathe parts and related tools aided by your friendly guide Holo-tutor 5000. Levels include, lathe overview, lathe safety, using the lathe practically and missions. Get feedback on your progress at the end of each level. 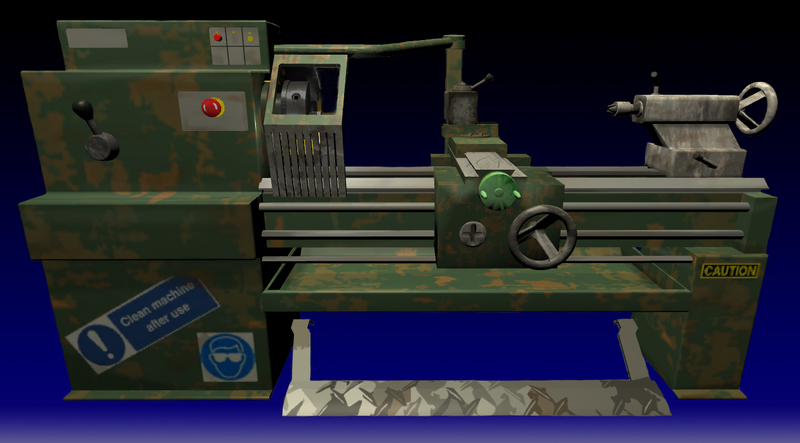 * The Lathe Safety Simulator game is an entertainment product. When using a Lathe ensure you are fully trained, supervised and authorised to use the equipment and comply with all health and safety regulations. Use of this site or video game does not train you to use a Lathe and no liability will be accepted. By downloading and playing the Lathe Safety Simulator game you fully acknowledge these conditions of use. Get/Play/Follow Lathe Safety Simulator Now !